Read more about new faculty member Jason Kal’s upcoming courses here! 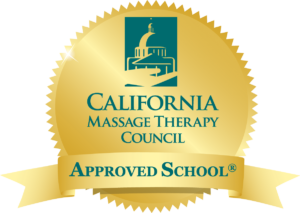 Jason Kal, CNMT (Certified Neuromuscular Massage Therapist), specializes in NMT (commonly referred to as “Trigger Point”) and incorporates Circulatory, Myofascial, Deep Tissue, Shiatsu/Acupressure, Craniosacral, Energy Work and Sound Current into his sessions. Jason has been practicing bodywork since 2009 and has a private practice where he supports his clientele through their physical, emotional, mental and spiritual life shifts. He lives for service, growth and connection and continues to positively encourage people with his compassionate heart, openness and presence. Neuromuscular Therapy (NMT): A modality of massage therapy where the therapist inhibits pain sensations rooted by MyoFascial Trigger Points, often associated with Conditional Patters, Postural Distortions, Biomechanical Dysfunctions, Nerve Entrapment and Ischemia. Sound Current Therapy (with Tuning Forks): The application of tuning forks as instruments on and off the client’s physical body, delivering vibrations throughout the client’s energetic bodies–from light to subtle to deep. In this portion of Cypress’ Sound Healing Program we will be merging these two unique and profound modalities for a class that will magnifying body awareness and inspiring greater balance within our clientele. Throughout the six sections of this course, which are taught over three weekend-long class intensives, we will develop Client/Therapist rapport and enhance focus through intention setting and experience. Next classes are coming soon as part of our Sound Healing Program! Early registration and full payment discounts available.